An elegant and chic design. 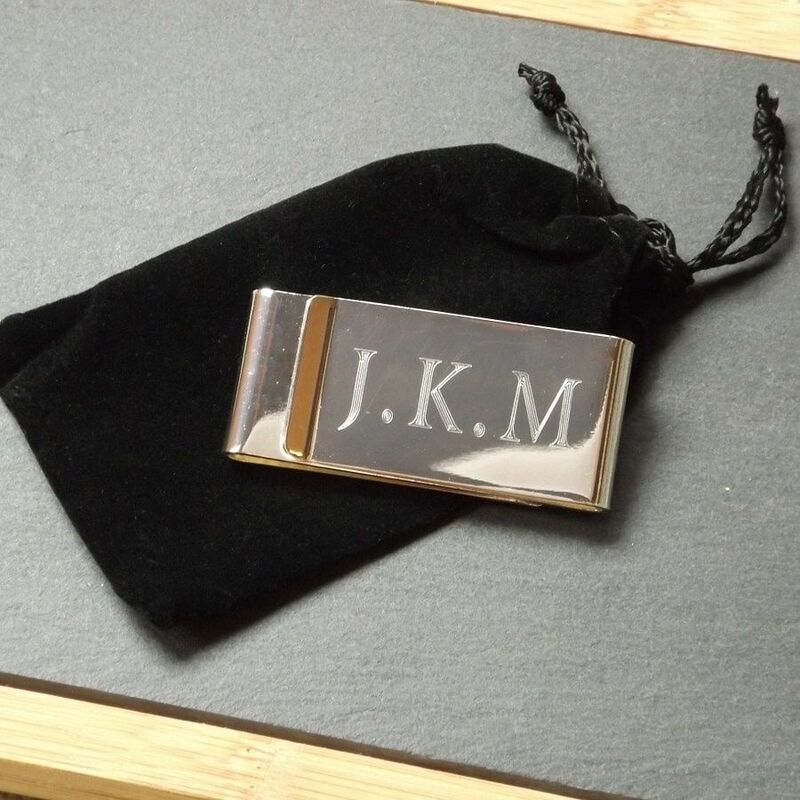 This personalised engraved silver plated money clip is a stylish accessory and great Wedding Day thank you gift for the guys in your Wedding party, from the Best Man to the Ushers & Groomsmen and perfect for Father of the Bride and Groom too! 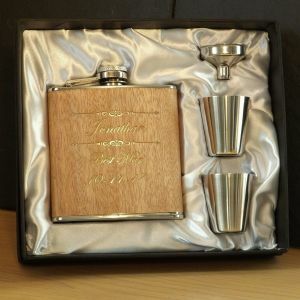 Makes a great gift for other occasions from those celebrating a milestone Birthday to Father's Day, Christmas and Anniversaries as well. The money clip can be engraved with initials, a date or a name of up to 15 characters in total. Comes in a black velveteen draw-string pouch. Money clip measures 5.5cm x 2.5cm approx.